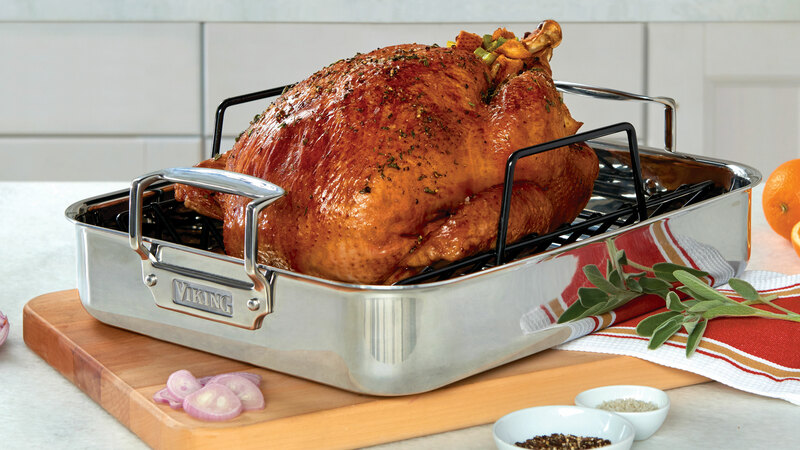 The Viking Tri-Ply Stainless Steel Roasting Pan is designed to hold up to a 25-lb turkey. The Tri-Ply clad design combines three layers of metal to create one solid piece that is formed into the vessel. 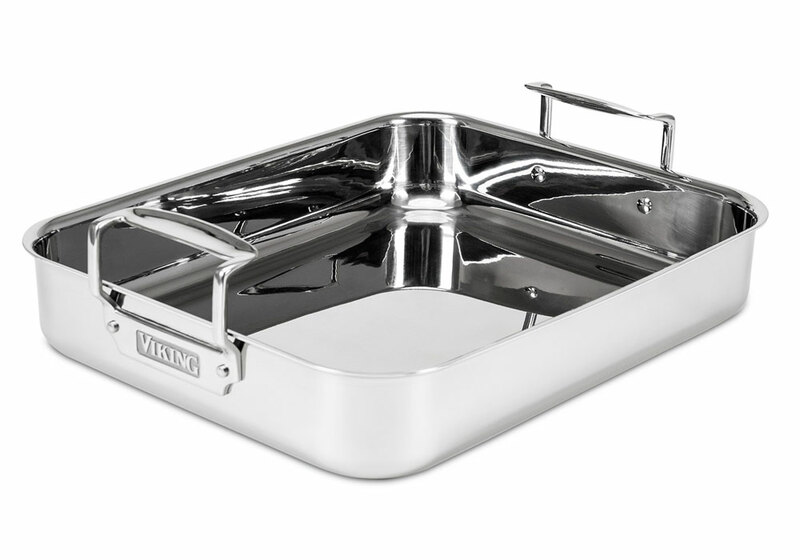 The induction capable stainless steel exterior is bonded to a layer of aluminum alloy and then finished with a final layer of high quality 18/10 stainless steel on the interior. 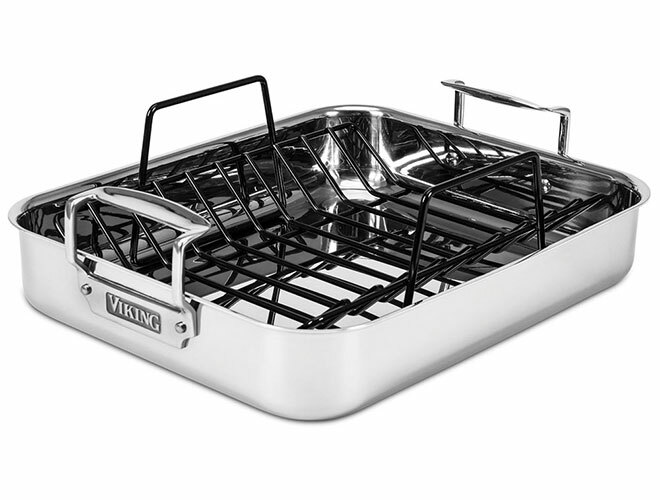 The three-layer construction combines the durability of stainless with the superior conductivity of aluminum, delivering even heat distribution along the bottom and throughout the sides of the pan. 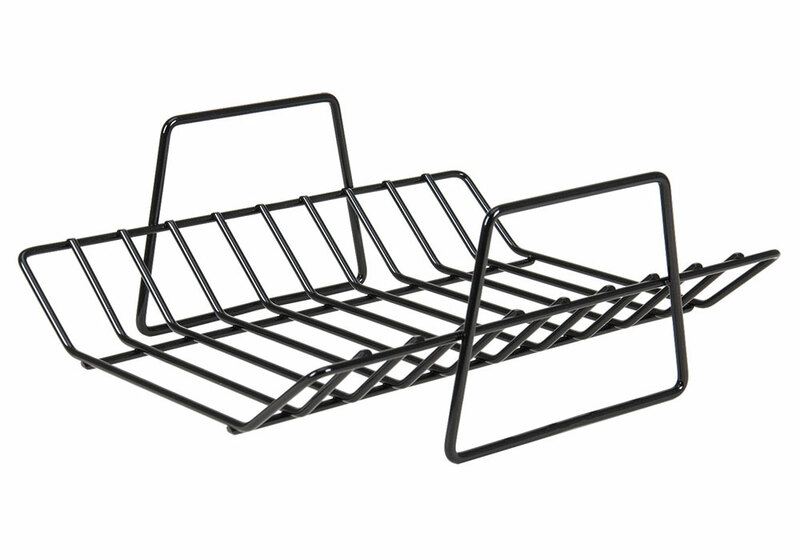 With three layers of metal combined, the unique structure creates a comprehensive heat delivery system that requires less energy to both heat and maintains even temperature throughout the pan. 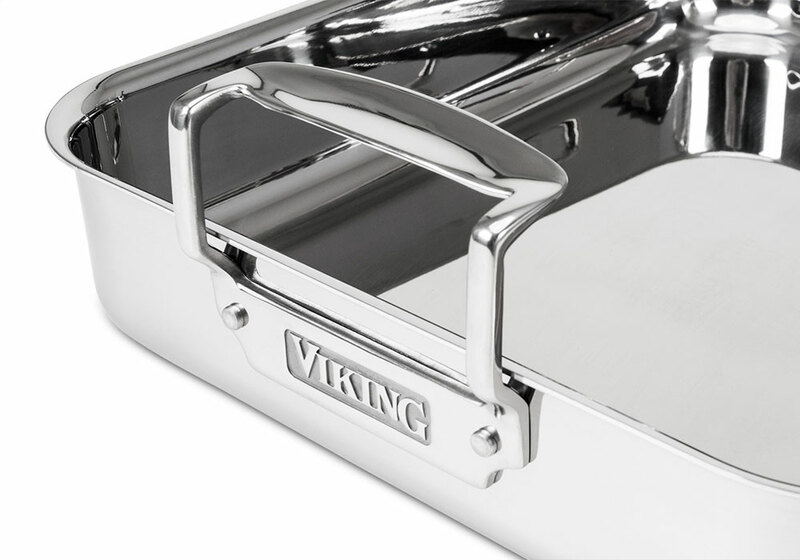 Viking stainless steel is non-reactive and features a non-porous surface so that it is easy to clean and sanitize. 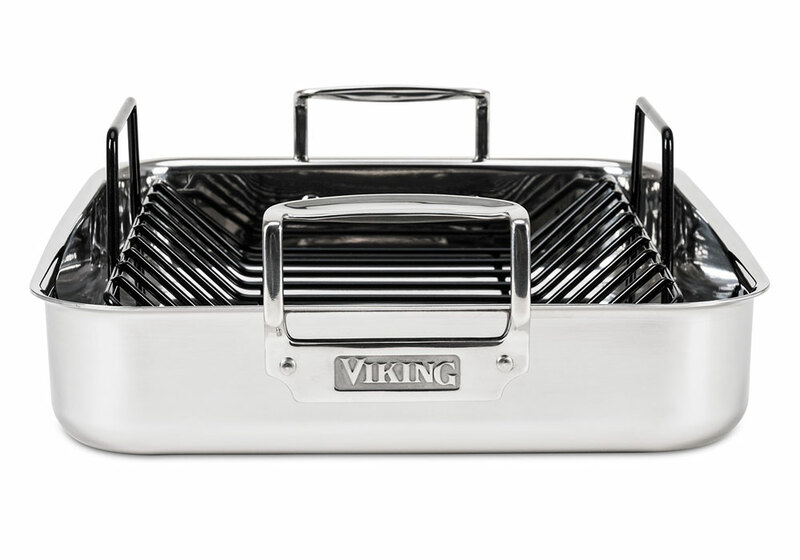 Holding and maneuvering the pan during cooking is made easier with our comfortable to hold, ergonomically designed, stay-cool handles. 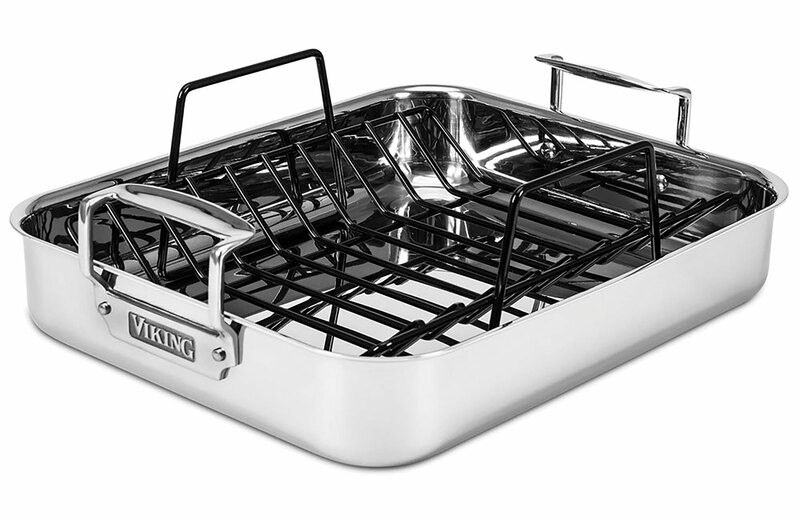 Works on all cooktops including induction and delivers even heating in the oven and on the cooktop when deglazing or making sauces and gravy. 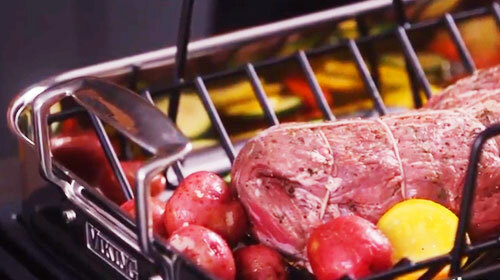 This roaster is also broiler, grill and dishwasher safe.